Get the entire city of Medellín on your phone. 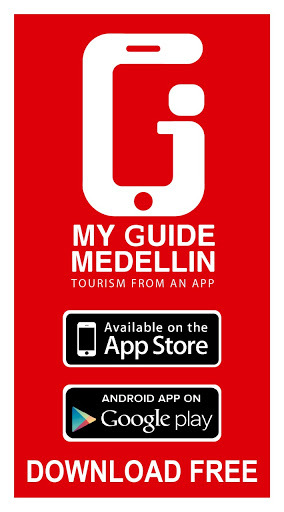 MY GUIDE MEDELLIN is an app created in the city of Medellin, by local Paisas (citizens of the department of Antioquia – which includes Medellin) with the assistance of OLSA International language academy. 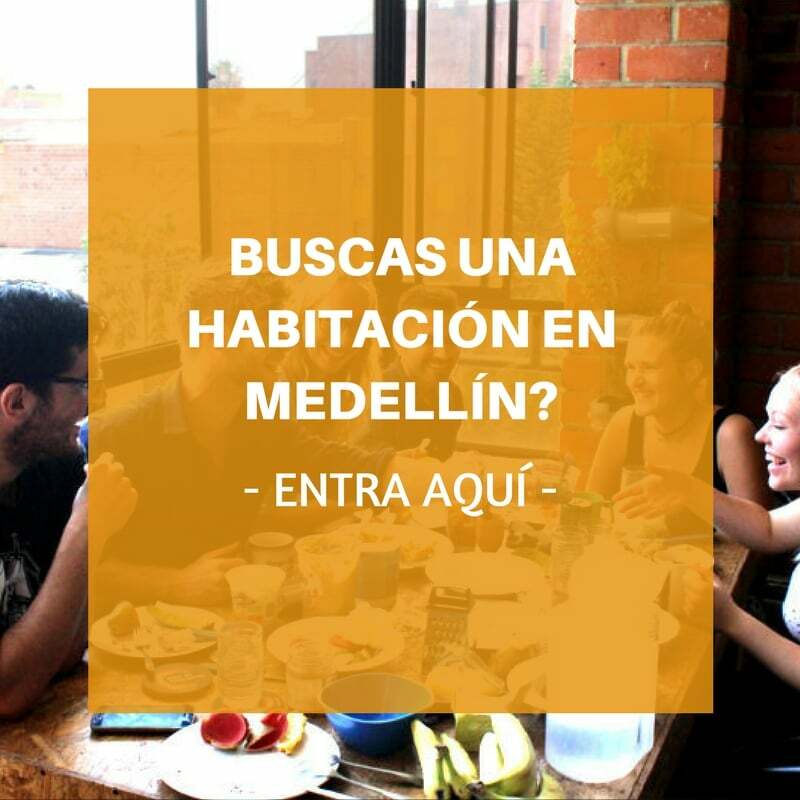 The intention of this app is to provide tourists with as much information as possible so they can enjoy their stay in Medellin as much as possible. We really want you to have a good time here! The app is free and there are no in-app purchases, but it would help us out a lot if you would pass our app around to anybody who might be interested. We would really appreciate it! 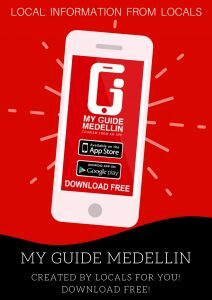 This app provides an in-depth and weekly-updated insight into Medellin from a tourist’s perspective. Think of it as your own personal local guide. The following categories are included on this app. A map – Know where you are at all times! Transit – Understand Medellin’s complete metro and bus systems; including mapped bus routes, MetroCable systems, and Tranvia routes. Keep phone numbers at your fingertips for private drivers, taxi services, vehicle rentals. Learn how to register to use Medellin’s FREE downtown bicycle system! What to do –With just a touch of the screen, find the best deals on the many activities Medellin has to offer. From learning Spanish at the top language school, to dozens of in-city and out-of-city tours, to where to dance Salsa, to any number of language exchanges, to the many different attractions, monuments, museums, etc. MY GUIDE MEDELLIN has it all. About Medellín – This category has important information about acquiring a Metro pass (Civica), some local rules to follow to avoid fines, neighborhood and danger areas maps, history and descriptions of different Medellin neighborhoods and surrounding towns, typical food choices for Colombian restaurants, and much more. 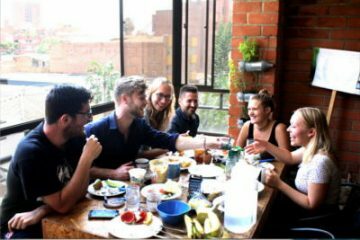 Where to stay – Learn about the top hostels and hotels in each of Medellin’s neighborhoods. Research their reviews, their social media sites, maps, etc. and book your favorite hostel right from the app! 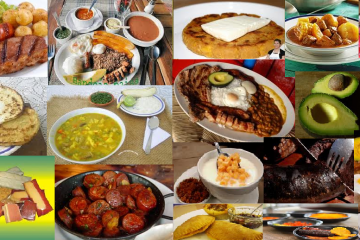 Where to eat – Find the best restaurants in whatever Medellin neighborhood you find yourself in. Peruse their menu. Compare reviews. Order in, or order out right from the app! Extra services – Have a broken computer or smart phone? Need a shoe repair? Looking for a good dentist, spa, nail/hair salon, fitness center, money exchange, etc,? 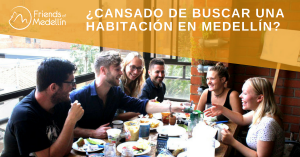 We have cataloged dozens of miscellaneous services for each of the major Medellin neighborhoods. Where to shop – Interested in a shopping day? We have information on each of the major malls in Medellin. Also included are instructions on where to find the major street markets and locations that locals shop for the best deals in Medellin! Local weather – The City of Eternal Spring typically has consistent weather and temperatures, however, if you need to know if the weather will hold for a tour you are thinking about booking tomorrow, be sure to check here for the possibility of rain showers. Local and international news – If you are having trouble following the Spanish news, you are welcome to follow the headlines in English at your leisure. Emergency numbers – It’s always best to be prepared for any unintended / unforeseen event. In this category you will find the emergency numbers to the police, hospitals, embassies, immigration, etc. Contact us – We update this application on a weekly basis to provide you with the most up-to-date information possible. However, if you have any specific questions, or suggestions, this is the place to get in touch with us.